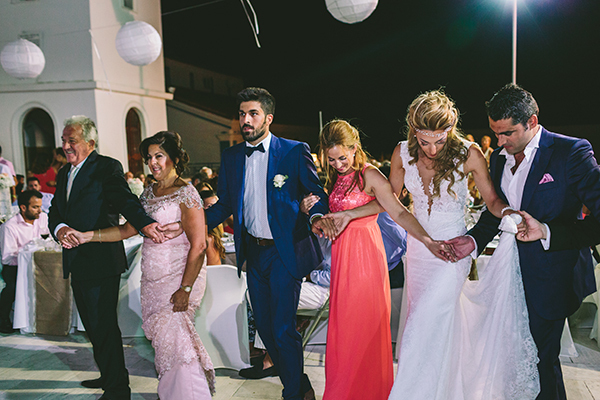 A traditional island wedding on the breathtakingly gorgeous island of Karpathos, Greece is one worth mentioning. 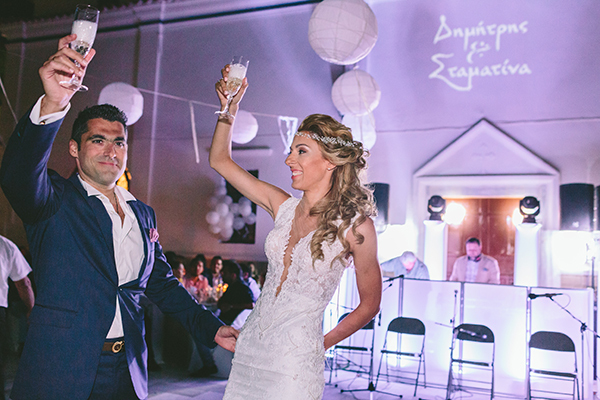 Beautiful couple Stamatina and Dimitris had one chic and stylish wedding. 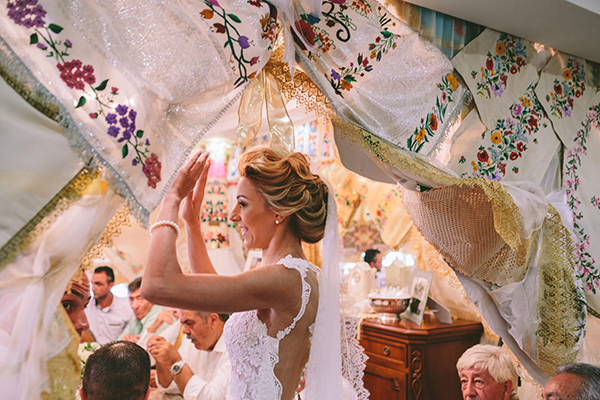 We are so excited to have Stamatina as a BERTA bride! 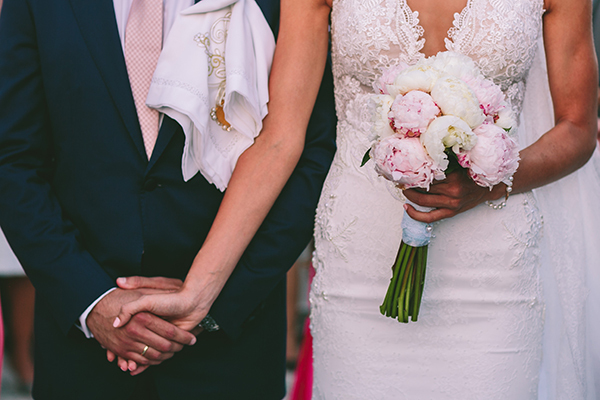 Their special wedding day was full of close ones and family, you can tell just by the photos how much love they were surrounded by. 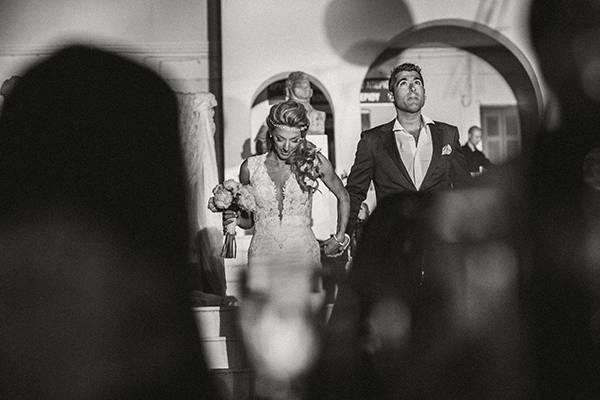 The refreshing view of the sea was perfect for their inspiration behind their day – an earthy and invigorating vibe. 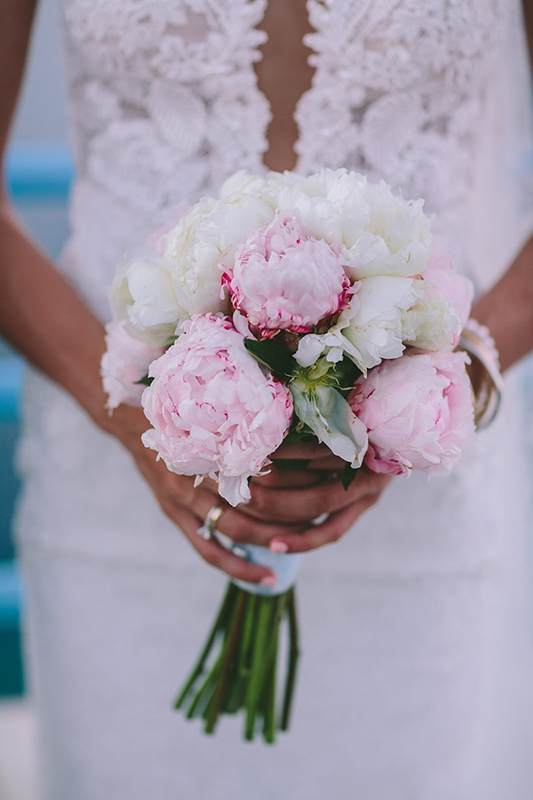 “We chose a vintage style for our wedding, in earthy and pastel colors”. 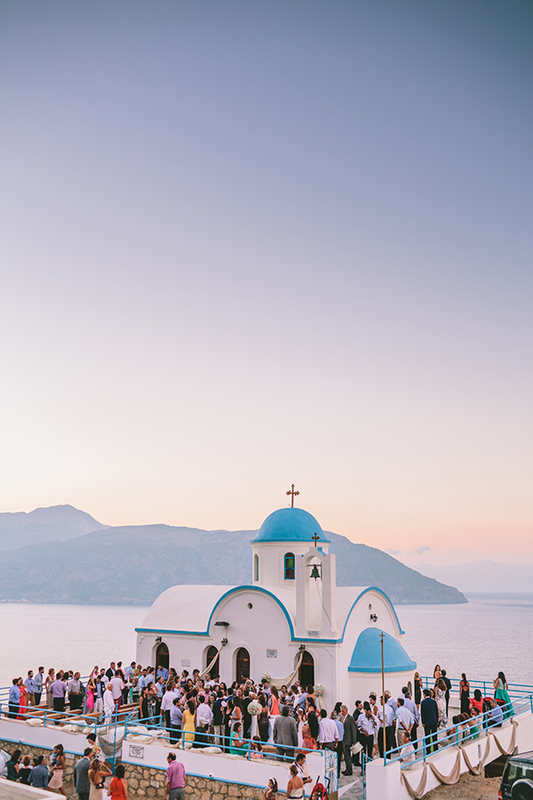 “We both decided on a summer, island wedding and we chose the small scenic chapel of St. Zachary, which has a magnificent view of the sea”. 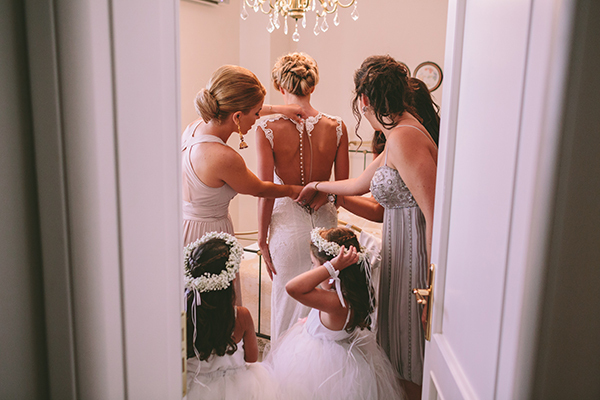 Stamatina wore the intricately detailed classy BERTA style 14-20. This is a true classic silhouette and looked absolutely stunning on her as well as with her hair and makeup. 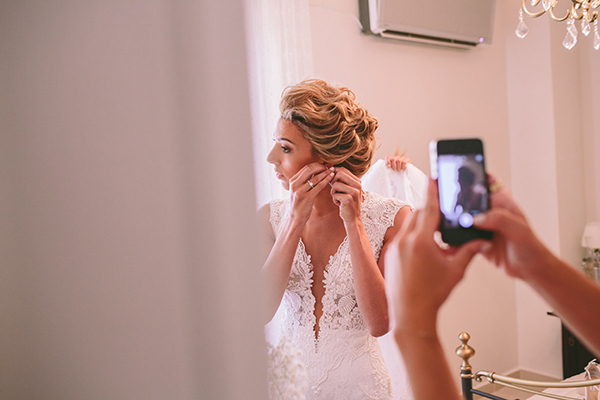 Stamatina has been a longtime fan of BERTA and knew exactly the style she wanted for her special day.